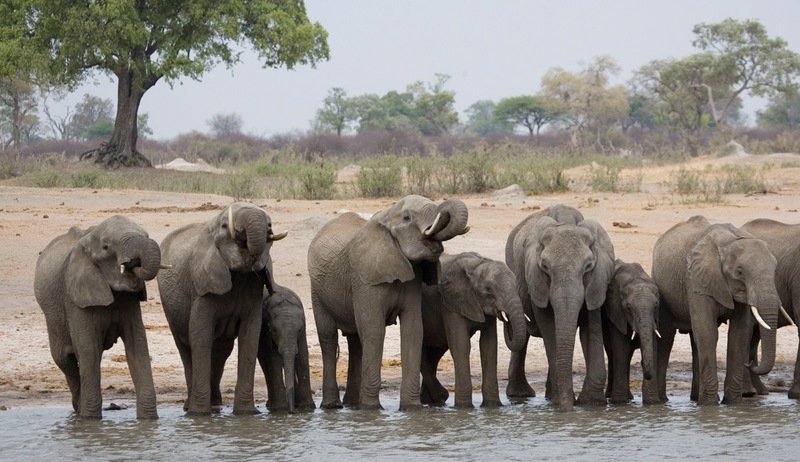 Follow in the paths of one of Africa's most iconic creatures as you explore beautiful Zimbabwe and Botswana on this excellent value for money safari tour. Take a trip through Zimbabwe’s famous Hwange National Park and Botswana's Chobe National Park, take in the majestic Victoria Falls, explore the Okavango Delta and enjoy unsurpassed elephant encounters at every step. 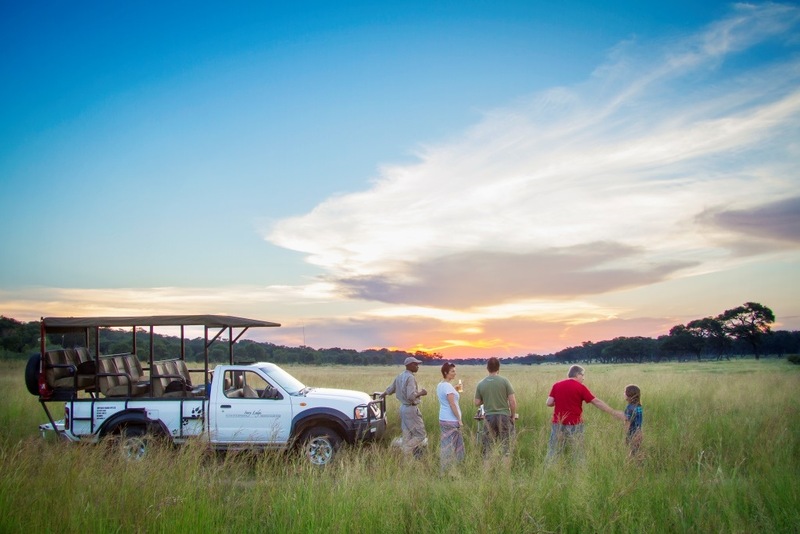 Upon arrival into Victoria Falls airport, guests will be met and transferred by shared road transfer to Ivory Lodge, where you will stay for three nights on an all-inclusive basis. Ivory Lodge is set on its own 6000-acre conservancy bordering Hwange National Park which is the largest National Park in Zimbabwe. Ivory Lodge is built in the treetops of giant teak forests – diverse habitats attract a variety of wildlife and bird life. 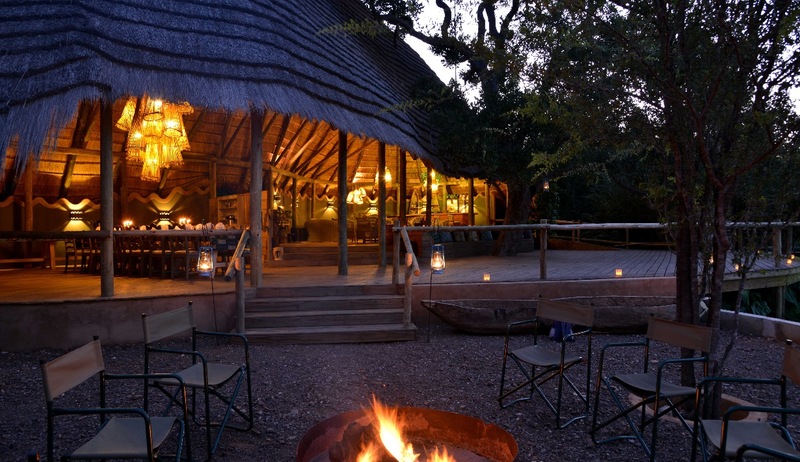 Activities on offer include walking and game drives in both the concession and Game Park. Night drives in the concession can also be arranged on request. After breakfast, you will be transferred by shared road transfer via the Painted Dog Centre to Bayete Guest Lodge, where you will stay for two nights on a bed & breakfast basis. 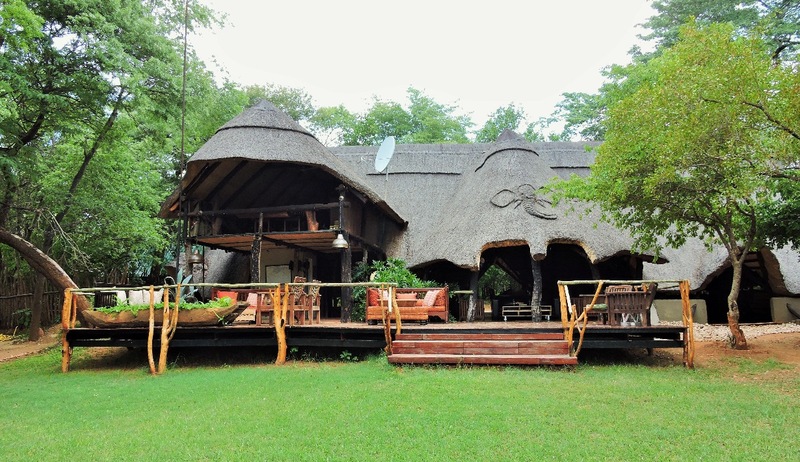 This family-run lodge abounds in warmth and friendliness and is situated in the suburbs of Victoria Falls residential area. Victoria Falls town lies on the southern bank of the Zambezi River at the eastern end of the Victoria Falls. It is a lovely tourist town which is easy to explore on foot and which offers a wide range of activities from the challenge of white water rafting and Bungee jumping, to walking safaris and sunset cruises. Access to Victoria Falls is within easy walking distance from the town centre. After breakfast, guests will be transferred by shared road transfer to Chobe Bakwena Lodge in Kasane, where you will stay for three nights on a full-board basis. 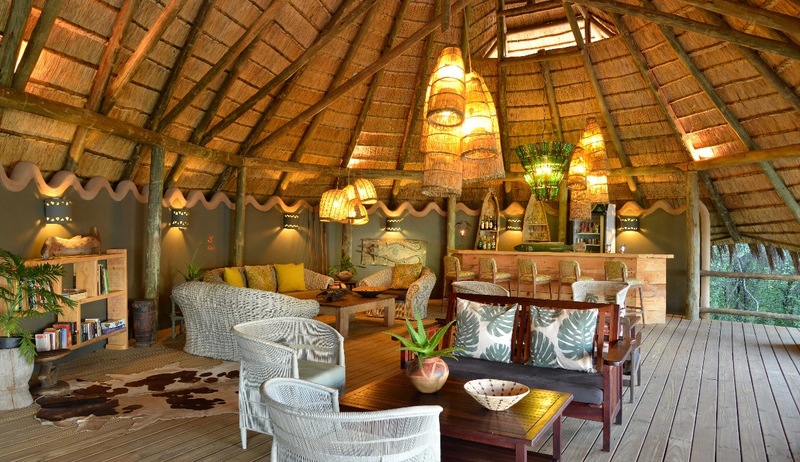 Bakwena Lodge is an eco-luxury retreat surrounded by the Chobe National Park on the banks of the Chobe River near the village of Kazangula. 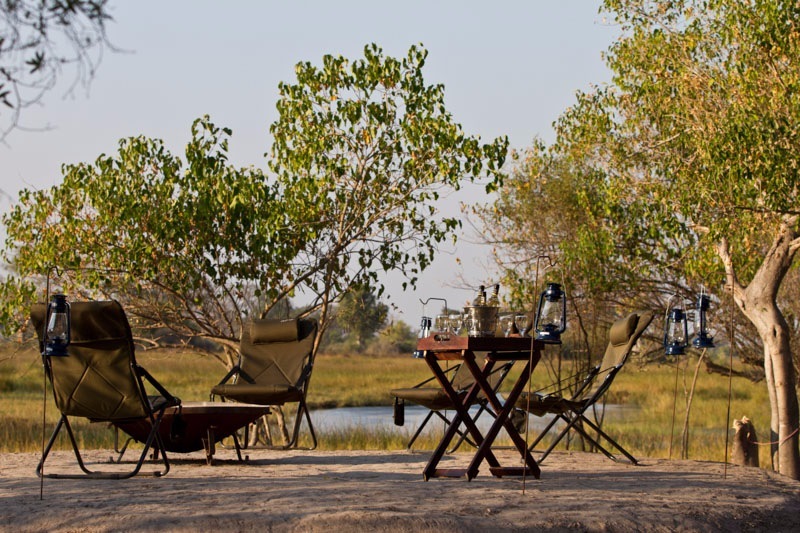 The Chobe River Front is a remarkable wildlife area due to the permanent water source of the Chobe River. The spectacle of all the animals coming to drink and frolic at the water's edge is one to behold and the area is famous for its abundance of elephants, a variety of predators and, in addition, you are likely to see herds of buffalo and possibly even roan and sable antelope. 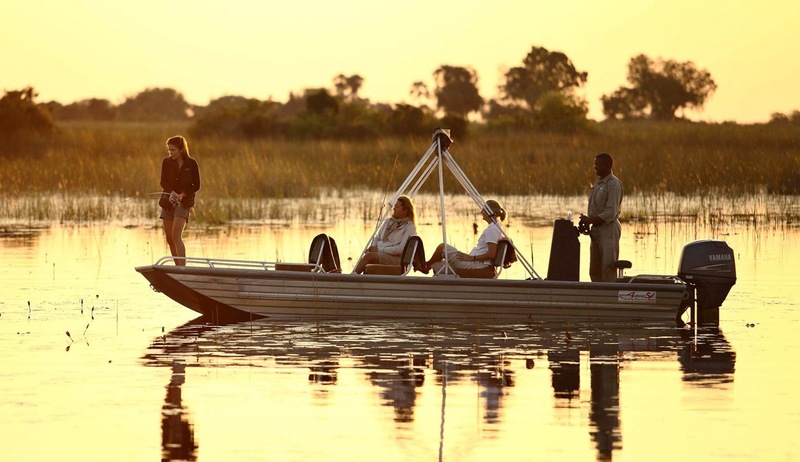 Activities on offer include game drives or river cruises in the Chobe. Fishing trips, bird watching, nature walks, and cultural tours. Visiting Impalila Island also possible at an additional cost. After breakfast, you will be transferred by road to Kasane Airport for your seat in a plane transfer to Kana Kara, where you will stay for two nights on a fully inclusive basis. 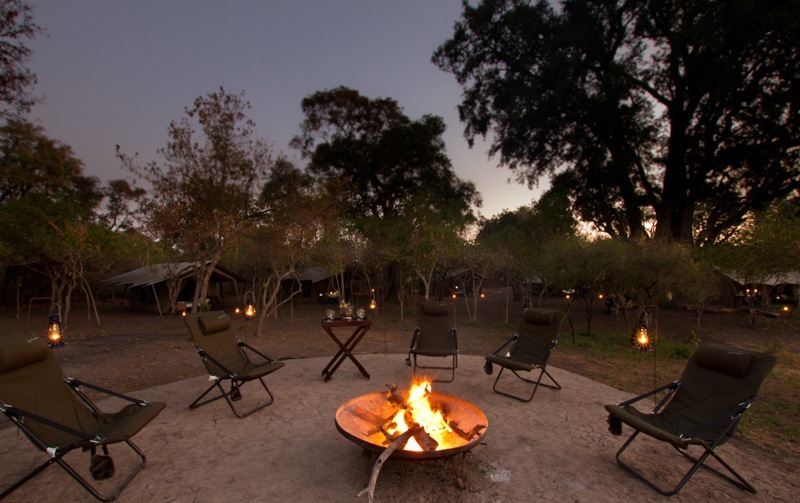 Kana Kara is situated in a large private Kana Kara is situated in a large private concession in the northern region of the Okavango Delta, between the Selinda Spillway and the Vumbura River. Activities from camp include morning mokoro excursions and exploration of the numerous islands on foot. Being poled through the delta’s channels by mokoro is an essential delta experience, while exploring on-foot helps guests experience the finer details of the landscape and area while on the search for game. 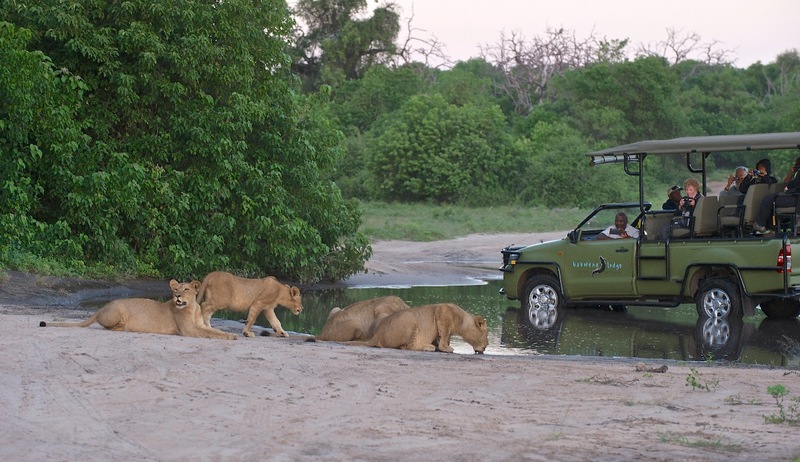 In the afternoons, guests are offered a game drive with sundowners out in the bush for total relaxation. After an early morning activity (time permitting) and breakfast, you will be transferred by plane to Maun Airport, for your onward travel arrangements. 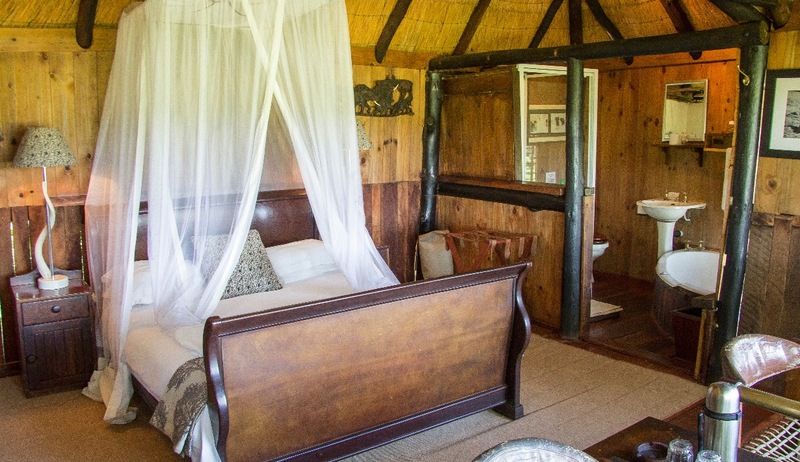 Bayete Guest Lodge offers 25 en-suite rooms nestled among a beautiful garden, all decorated in a rustic, chic style and fitted with air-conditioning. 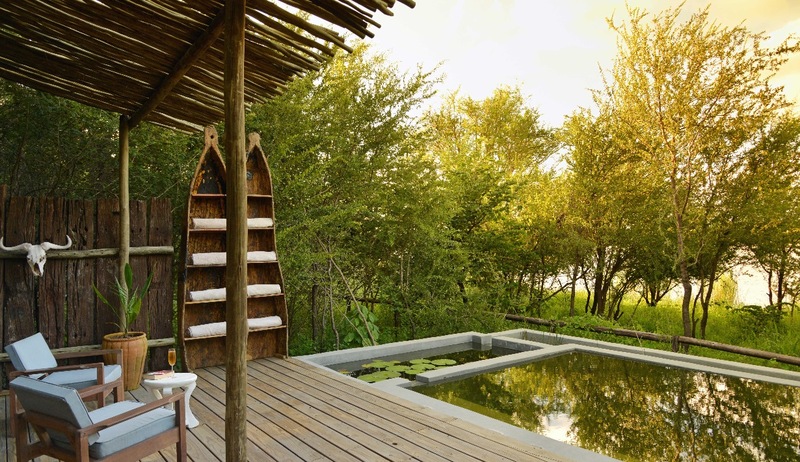 The en-suite bathrooms are free flowing and open plan with a shower, hand-basin and toilet. Bathtubs are available in the executive and honeymoon suites and some of the deluxe rooms. The Caldecott Boma is home to the dining room, which offers breakfast as well as lunch and dinner on request. The Ngwezi Bridge Pub with a swimming pool offer guests the perfect place to relax. Bayete also has a small outdoor gym area. 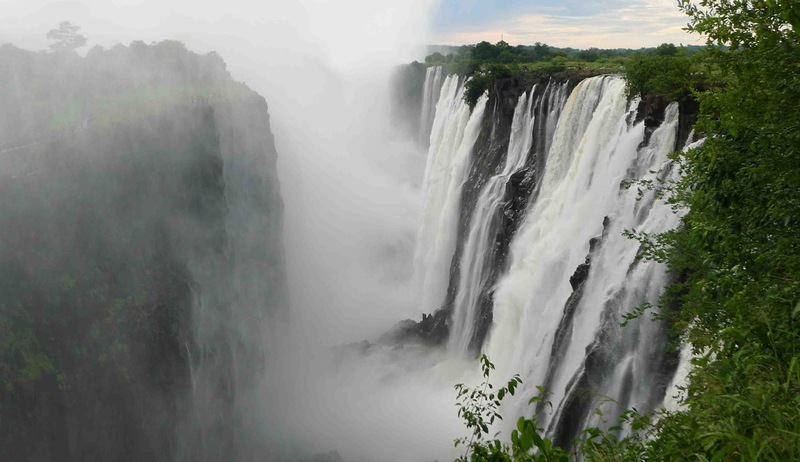 Activities at Victoria Falls can be arranged by the front desk personnel. Kana Kara which is situated in the Okavango delta, is characterised by multitude of waterways isolating many islands of differing sizes, the water originates high in northern Botswana before fanning out to form this wildlife sanctuary. On the edge of the Selinda spillway, as the river meanders along its course, a picturesque site was located for Kana Kara. 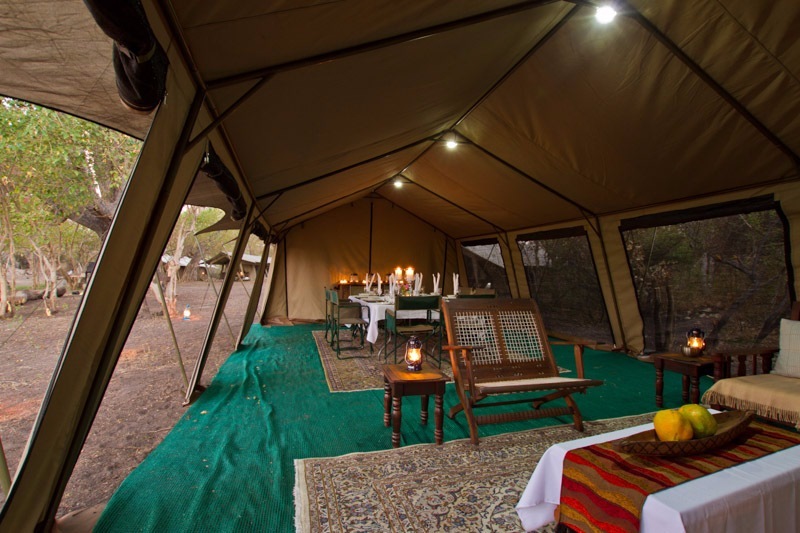 Kana Kara is not a game lodge, but rather a semi-permanent tented safari camp comprising 8 meru type tents, each with en-suite facilities and an outdoor shower. The facilities are modest yet comfortable, and are positioned to command uninterrupted views of the northern delta. 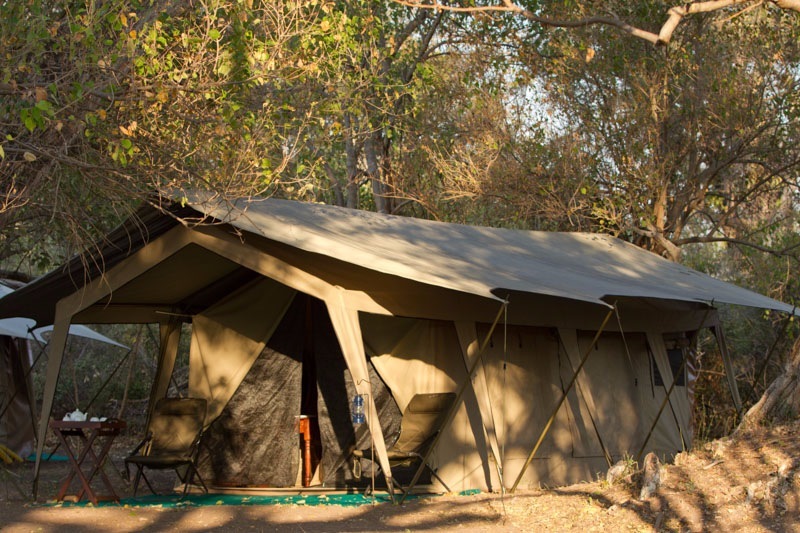 Activities from camp include morning mokoro excursions and exploration of the numerous islands on foot. Being poled through the delta’s channels by mokoro is an essential delta experience, while exploring on-foot helps guests experience the finer details of the landscape and area while on the search for game. 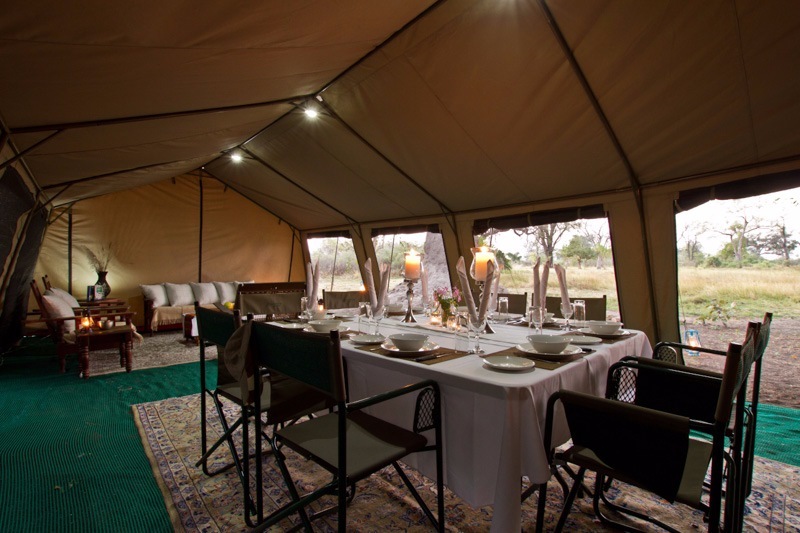 In the afternoons, guests are offered a game drive with sun downers out in the bush for total relaxation. 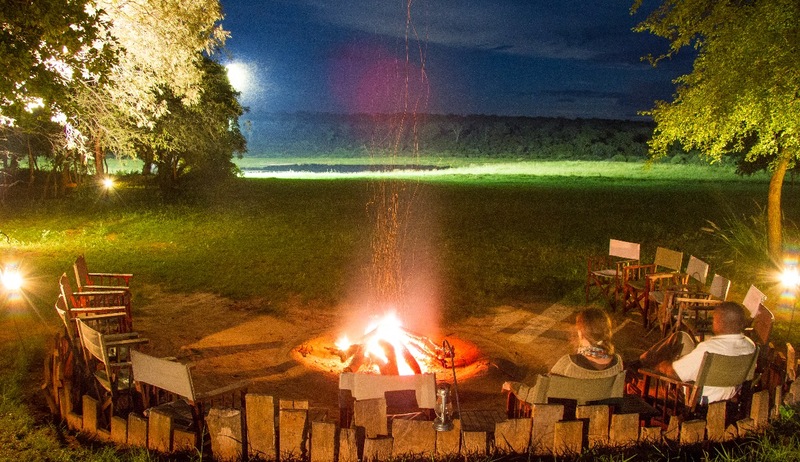 On the banks of the lagoon is the camp’s open air boma, where all meals are prepared on open fires and guests can participate in cooking for a more interactive experience.